One objective was to identify and review studies on teaching medical ethics to psychiatry residents. In order to gain insights from other disciplines that have published research in this area, a second objective was to identify and review studies on teaching medical ethics to residents across all other specialties of training and on teaching medical students. PubMed, EMBASE, and PsycINFO were searched for controlled trials on teaching medical ethics with quantitative outcomes. Search terms included ethics, bioethics, medical ethics, medical students, residents/registrars, teaching, education, outcomes, and controlled trials. Nine studies were found that met inclusion criteria, including five randomized controlled trails and four controlled non-randomized trials. Subjects included medical students (5 studies), surgical residents (2 studies), internal medicine house officers (1 study), and family medicine preceptors and their medical students (1 study). Teaching methods, course content, and outcome measures varied considerably across studies. Common methodological issues included a lack of concealment of allocation, a lack of blinding, and generally low numbers of subjects as learners. One randomized controlled trial which taught surgical residents using a standardized patient was judged to be especially methodologically rigorous. None of the trials incorporated psychiatry residents. Ethics educators should undertake additional rigorously controlled trials in order to secure a strong evidence base for the design of medical ethics curricula. 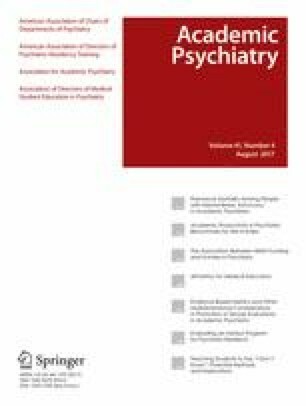 Psychiatry ethics educators can also benefit from the findings of trials in other disciplines and in undergraduate medical education.